Have you ever wondered what life is like as a full-time crochet designer? 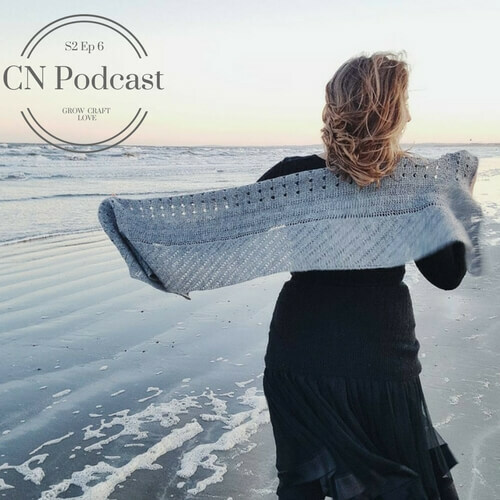 Then who better to come and chat on the podcast than Irish Crochet Designer Aoibhe Ní. We chat about a decade of crochet design, publishing in both mainstream print and independently, how maths and art are intertwined and a few exciting workshops coming your way. It’s time for you to put the kettle on, grab your knitting/crochet and make yourself comfortable. Today’s show is around the 50-minute mark. I hope you find a quiet hour to listen to Aoibhe’s lilting Irish tones. 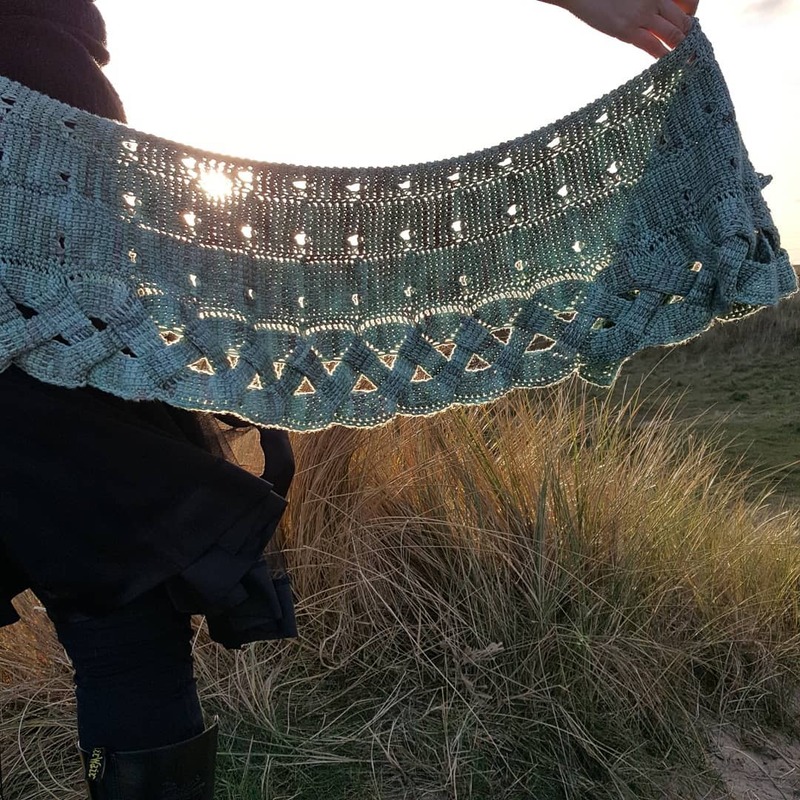 Aoibhe describes how she went from being a graphic designer to full-time crochet designer and how her journey went organically from publishing with mainstream magazines such as Inside Crochet in the UK to independent publishing. Through developing her own unique style, Aoibhe found that publishing independently offered the chance to have in-depth tutorials to go along with her patterns and the chance to provide help as needed to each and everyone who buys her patterns. Tunisian crochet has become Aoibhe’s area of choice for design, a deep love for the mathematical problems and restrictions of the Tunisian technique to develop unique and beautiful patterns which have left her designs marrying elements of knitting and crochet to form a unique flowing fabric. 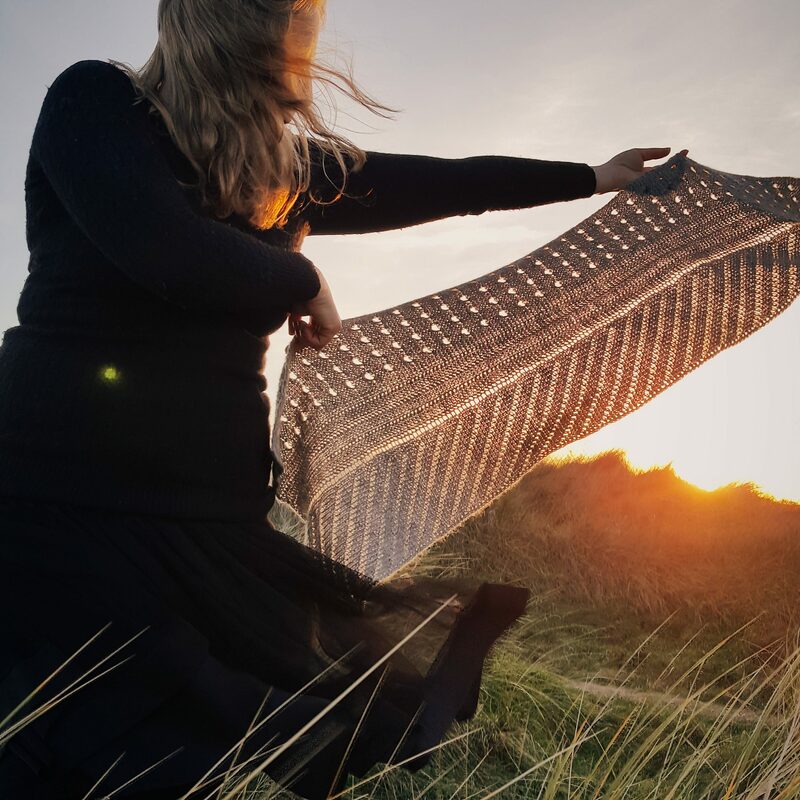 Aoibhe discusses the effect of using different yarn weights and bases along with working with individual hand-dyers to create beautiful shawls. Where you find creative inspiration is possibly one of the questions that designers get asked the most and we touch on creativity and how Aoibhe deals with having to create when creative inspiration eludes her. Designing with aphantasia has its own difficulties and Aoibhe talks us through how she designs without seeing a finished object in her mind’s eye. Have a listen to find out more! We also get to discuss the advantages of Patreon for artists and how important community support is. Independent designers face may problems one of which is what happens when you get sick and you can no longer produce a piece of work that can be sold even though bills still need to be paid. We briefly discuss the different approaches artists have to this and how Patreon has been an asset as well as a wonderfully supportive community. You can find those Woollinn workshops with Aoibhe. The first is on Tunisian Wire Crochet and the second is Tunisian Crochet Basics. Classes with Aoibhe are held in the Constant Knitter in Francis st and also specialist workshops are held throughout the year in yarn shops around the country. Stay up to date with those through Aoibhe’s Facebook page or social accounts. If you want to hear more from Aoibhe you can find her previous written interview here. You can also get social with Aoibhe by following her on Ravelry, Twitter, Facebook, YouTubeand Instagram. for those of you looking for her Patreon account, you can find it here along with exclusive patterns and tutorials. 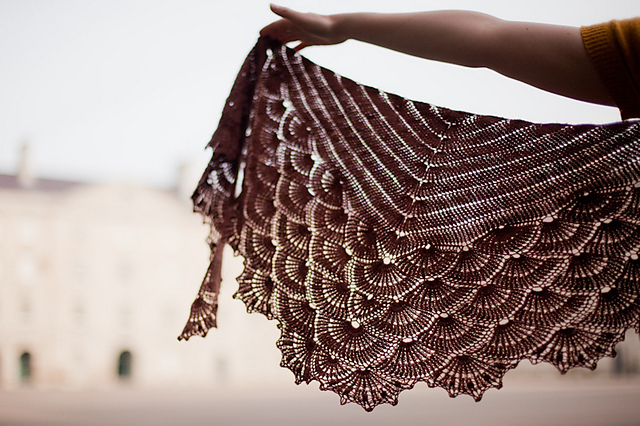 for those of you looking to join in with Aoibhe’s Ravelry group and testing her yet to be released shawls, you can find her group here. As always, music for the Cottage Notebook Podcast has been provided by Irish artist Liz Seaver.